Live a healthier and worry-free lifestyle now! Get to know MedMinder better. Read through to learn how MedMinder works and why we offer the solution to make a positive change in your life or your loved one’s. 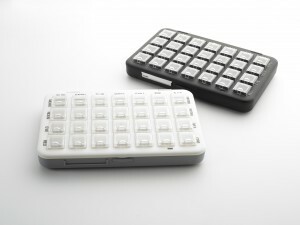 The pill dispenser is similar to a standard pill organizer with 28 compartments, allowing up to 4 dosing per day. For the users, it is essentially no different from using a regular pill organizer. The dispenser holds multiple medications with each compartment accommodating up to 10-12 regular sized pills. At the user’s home, there is no need for an internet connection or a telephone outlet. So long as the area in which the pill dispenser is being used has cellular coverage, the pill dispenser will operate. The pill dispenser reminds users to take their medication with visual compartment flashes, auditory beeps, text and phone reminders when it is time to dose. Similarly, the pill dispenser will alert users with a beep when a wrong compartment is accessed to prevent mis-dosing and will also notify caregivers/family members of all associated events. Some of these notifications includes missed doses, forgotten refills, wrong pill compartment access etc. The pill dispenser is also very easy to load. All that is required is to simply lift the dispenser lid that would grant access to all pill cups at once, making it easier to refill. Refills are usually done by caregivers/family members. There is also a prefill option, in which a prefill tray can be filled by the caregiver/pharmacist before hand with the intent of mitigating any misplacements of the medications. When it is time to take the medications, the specific compartment for that day and time (configured before hand by the caregiver) will begin to flash. After 30 minutes of flashing, if the pill cup has not yet been removed, a beeping tone will continue to remind the users. The beeping will incrementally get louder for another half hour, at which point a phone reminder will be sent to the user. And another half hour later, if the medication has still not been taken, a text/email notification will be sent to the patient. At this point, the caregivers will also be receiving notifications of the missed dose as well. All these reminders and notifications can be remotely configured, allowing setting preferences best suitable for the users (i.e. disabling the beeps but enabling phone reminders). We see close to a 100% medication adherence for the all our users! All settings of the pillbox/reminders can be remotely configured through the MedMinder website. The caregiver commonly sets up the medication information (i.e. dose, quantity and name) and pillbox settings (reminder types and dosage times) for the patients. They can also choose what types of notifications they would like to receive about the patient’s dosage activities. Should the patients medication schedule change, their caregivers can simply go online to change this information, and the pillbox will update automatically. All activities associated with medication dosing can be monitored through the MedMinder website. The reports are accessible by the patients, their caregivers, family members or pharmacists. i.e. if a medication dose was missed, the reports will tell you exactly what time they had missed their dose and when the reminders were sent out (to the very second). The reports will document all activities in details, allowing a simple and easy understanding of the patient’s dosing behavior. A score card is also available, that graphically illustrates and helps the caregivers get an understanding of the patient’s adherence over a longer period of time. All activities will be stored in the reports, and a comprehensive review of the patience adherence can be accessed at any time. Should there be any concerns or questions, MedMinder customer service is available 24/7 at 1-888-MED-MIND (1-888-633-6463).